Both the physical and biological sciences of our day are based on a belief in miracles – the miraculous emergence of awareness and aware beings from an otherwise non-aware universe of matter and energy – of bodies in space and time. It seeks to explain our capacity for conscious awareness through studying particular phenomena within our own field of awareness – for example the physical body or brain. The terms ‘physical’ and ‘physics’ derive from the Greek verb phuein – to ‘emerge’, ‘arise’ or ‘manifest’. Physics offers explanations of how things emerge or arise but does not begin by recognising them as phenomena emerging or arising within a field of awareness. From a phenomenological point of view, the known universe is not merely a universe we happen to be aware of and can therefore attain knowledge of. The universe as we know it is the universe of our present human awareness. Deepening and broadening our knowledge of both human and natural phenomena can therefore take two forms – researching and representing relationships between them or deepening and broadening our own awareness of them. The focus of field-phenomenological science is not a world of pre-given ‘things’ independent of our own awareness, but the very nature of those things as phenomena manifesting in a field of awareness. Its basis is a field-dynamic phenomenology, one which deals with the physical dynamics of phenomena in the root sense of this term – the dynamic process by which phenomena emerge or arise (phuein) – not as objects of observation for a localised ‘subject’ of awareness but as events occurring in a non-localised field of awareness. The observer is but one localised centre or locus of this non-localised field of awareness, which includes both observer and observed. The observed phenomenon gives form to the observer’s awareness of the field as a whole. But the awareness that constitutes this field as such is not an awareness of any phenomena at all. Within field-dynamic phenomenology, awareness is not, as Husserl claimed, essentially awareness of something, still less a mental act on the part of a subject or ego which turns these phenomena into ‘intentional objects’. Instead any given phenomenon is itself a patterned figuration of awareness – one which both gives shape to the source field of awareness from which it emerges and configures its own awareness of other phenomena within that field. The dynamic relation between field and phenomenon can be compared to the relation between an ocean and the life forms that emerge within it. Each of these life forms gives form to the life of the ocean as a whole, and is in this sense a self-manifestation of it. But the very form of each of these life-forms also configures their awareness of the ocean as a whole and of all other life forms within it. The shark is aware of the ocean and perceives its other life-forms in a quite different way to the jellyfish. Indeed, what appears to us as the form of a shark or jellyfish may bear little comparison to the way the jellyfish perceives the shark and vice versa. As human beings, we are not divinely gifted with a unique figuration or field-pattern of awareness that allows us to perceive the ‘true’ form of a shark, jellyfish or any other organism. What any organism essentially is, is nothing more or less than an organising field-pattern of awareness, one which in-forms its own patterned field of awareness and configures its perception of other organisms within that field. The organising field-patterns of awareness that constitute a shark or jellyfish each in-form their awareness both of the ocean as a whole and of other life-forms within it. Each is at the same time the individualised self-manifestation of the life of the ocean as whole. From a field-phenomenological perspective, since all phenomena are the patterned self-manifestation of source fields of awareness, no phenomenon can ultimately be explained by or reduced to any other phenomena manifesting within the same field and in-formed by the same field-patterns. Nor can fields of awareness as such be explained by or reduced to the physical phenomena that emerge within them. To do so is comparable to looking for the ‘causes’ of a dream in the dream, or looking for the causes of a text in that text. Understood phenomenologically, fields of awareness are the condition for us becoming aware of any phenomena whatsoever, but are not reducible to or explainable by any phenomena we can observe within them. Fields of awareness cannot be reduced to or causally explained by the phenomena that manifest within them. Thus we can no more find the ‘causes’ of illness in the bodily phenomena that emerge within our field of awareness than we can find the causes of ‘bad’ language or poor sentence construction in a text itself, or the causes of a nightmare in some monster that appears within it. Phenomena manifesting in a field of awareness cannot be reduced to or causally explained by reference to other phenomena manifesting in the same field. Example: a monster in a nightmare cannot be said to be caused by other objects or events in that same nightmare. Similarly, it makes no sense to claim that certain words or sentences in a text are ‘caused’ by other words and sentences in that text, for the latter too are self-manifestations of a con-textual field of awareness linking author and reader. It is in fact modern physics which uses the term ‘light’ as a metaphor drawn from the realm of our everyday experience of light and darkness, and applied to describe something in no way ‘visible’ within this realm – for science has long since ceased to regard light as merely the visible part of the electromagnetic spectrum. Instead it now sees the photon as the basic energy ‘quantum’ or wave-particle mediating all electromagnetic interactions. Coming to light (phainesthai) has the nature both of physical emergence (phusis) and of speech (logos). The written or spoken word can be regarded as a physical phenomenon – as ink marks on a page or sound waves traveling through the air. Meanings too, can be turned into objects as if they were just present, pre-given entities. But the word as word – as a primordial phenomenon – can never be reduced to a pre-given object or set of objects. It is not something present but the coming to presence of a meaning. To be sure, we can define or describe meanings as if they too were pre-given objects. But in this way the process by which meanings come to light in language and words come to mean what they do will always elude us. The third basic principle of phenomenological science is that primordial phenomena cannot be reduced to or explained by physical phenomena. We do not understand words because we hear them spoken or see them on the page and our brains then ‘decode’ or ‘interpret’ them as physical phenomena. We understand words because, as aware beings, we already dwell within the world of meaning from which they emerge. If I am disturbed by the sounds of loud music being played in the room next door, I am aware of a physical phenomenon, sound vibrations, but I am not actually hearing music. We understand music not because our ears and bodies pick up sound vibrations and audible ‘tones’ but because we already dwell as aware beings within the world of feeling tone from which music emerges. Trying to logically argue the phenomenological standpoint to a positivist scientist philosopher is like trying to explain that an invisible world of meaning lies behind the empirically verifiable ink marks on a page –something impossible unless they have first of all learnt to read. The scientist, examining the ink marks on the page or the oscillations of sound waves in the air will and can find no empirical evidence of an invisible ‘world’ of meaning or an inaudible world of feeling – any more than they can find empirical evidence of grief in tears. The philosopher will rightly argue that the existence of such worlds cannot be logically proved. Only someone who has already learnt to read or appreciate music to a certain extent will be persuaded of their reality as primordial phenomena. Biological medicine focuses on illness as a biological phenomenon ie. as a physical phenomenon in the broad sense. Phenomenological medicine is concerned not only with illness as a physical phenomenon – an identifiable symptom or syndrome for example – but with what this symptom or syndrome brings to light. Following the basic principles of field-dynamic phenomenology it does not accept etiologies which seek to explain illness as a physical phenomenon in terms of other physical phenomena which are then treated as its ‘causes’. Instead it seeks to understand the patient’s awareness of their illness and direct experience of their symptoms in the larger context of the field or ‘world’ of awareness in which they dwell. Awareness is intrinsically relational – an awareness of ourselves in relation to something or someone other than self. A secretary who feels humiliated by her boss, but unable to speak out and confront him develops a visible skin rash on her face and goes to her GP. The physician is not in the least interested in the symptom as a primordial phenomenon – in the humiliation, shame and pregnant anger that the red rash brings to light and makes visible – but only in the physical phenomenon. Just as for our scientist and positivist philosopher, there was no proof, empirical or logical that words and sounds point to a world of meaning and feeling, so for the physician the idea that symptoms might have meanings and not just causes is unprovable speculation. His interest is in illness as a physical rather than a primordial phenomenon, in the human body and not in human beings as such, still less in the worlds or fields of awareness in which they dwell; that is to say in the fields of relatedness in which they find themselves and comport themselves. We can study and respond to illness as a physical phenomenon or understand the physical signs of illness themselves in terms of what they bring to light – as primordial phenomenon. Both conventional and alternative medicine focus on the physical causes and cures of disease. Neither seek to explore the human being’s awareness of dis-ease and the meaning it holds for them in their life. As far as diagnosing the patient’s symptoms is concerned, it is as if someone’s words would be treated purely as physical phenomena: subject to exacting linguistic, phonological and grammatical analysis without any attempt to hear what they are saying through them. We can subject someone’s words to detailed phonological, syntactic and even ‘semantic’ analysis without in any way hearing what the human being is saying through them. Similarly, neither X-rays or blood tests, can tell us anything about a person’s awareness of dis-ease, or indeed about their physiology in the primordial sense – what emerges or comes to presence (phusis) through the speech (logos) of the body. 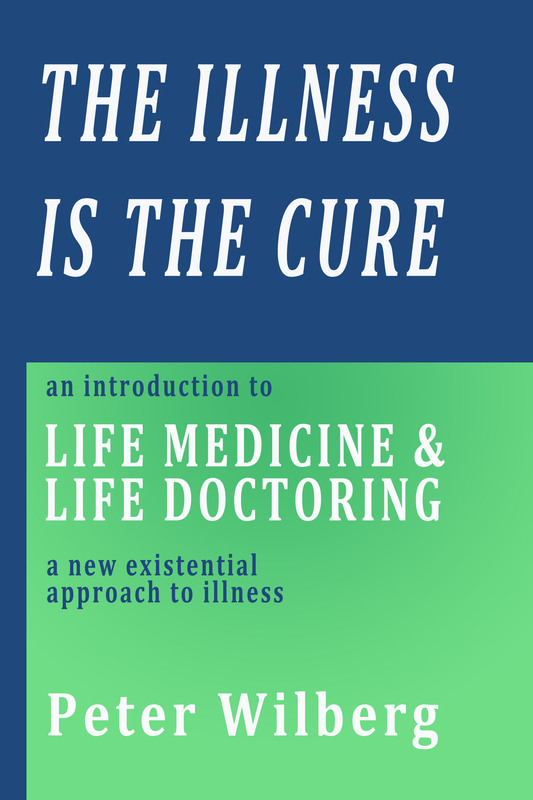 There is today not a single form of medicine, orthodox or alternative, biogenetic or psychoanalytic, Western or Eastern, that does not in one way or another confuse the measurable organic signs of disease with the human being’s own felt experience of illness – their dis-ease. We can measure a person’s heart pressure and pulse. We can diagnose disorders of the heart and circulation. But can we measure heartbreak, heartlessness or ‘loss of heart’? The human being’s dis-ease, whether in the form of stress or distress, discomfort or pain, anxiety or demoralising incapacity, is not itself anything measurable, whatever its measurable bodily or behavioural signs. 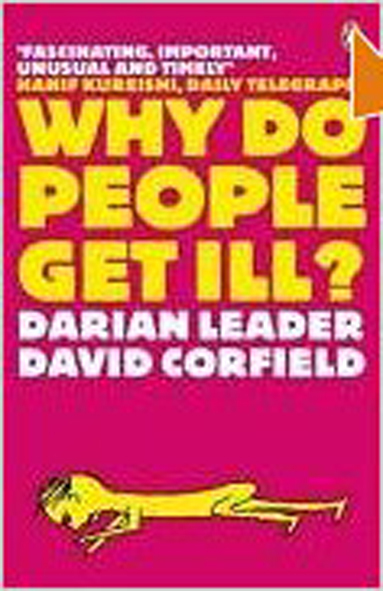 The confusion of disease with dis-ease rests, however on a far more fundamental distinction – between the physical body and the felt or lived body, the body as a ‘physical’ phenomena and the body as a ‘primordial’ phenomenon. It is this fundamental distinction that Heidegger pointed to through the German words Körper and Leib. The Leib or lived body is not only the so-called ‘lived’ or ‘experienced’ body: the body as we are aware of it from within rather than the body perceived from without as a physical object. It is the unified field or ‘clearing’ of our bodily awareness, a field that embraces both the ‘inner’ field of our ‘subjective’ bodily self-awareness with the ‘outer’ field of our own ‘objective’ sensory awareness of the world and other bodies within it. It is for this reason that Heidegger could declare that: “The lived body (Leib) is certainly no thing, no corpus (Körper), but every body; in other words the body as Leib is always my body.” For awareness of our bodies and of other bodies in our environmental field of awareness are not separable. Heidegger’s conclusion is a radical one “The boundary of the lived body is the horizon of being in which I dwell.” As a larger body or unified field of awareness, it embraces both our experience of ourselves and our experience of others and otherness, including both our ‘proprioception’ of our own bodies and our perceptual awareness of other bodies around us. Understood phenomenologically both our experience of ourselves as localized subjects and the objects that we perceive around us are inseparable aspects of a singular field of awareness. It is this larger body or field of awareness that we are in the habit of thinking of merely as the pre-given physical ‘space’ in which our bodies are located, a space which, according to the scientific model, somehow happens to contain both perceived objects and subjects capable of perceiving them and the space in which they exist. A space which happens to contain physical objects of a special and miraculous sort – bodies with eyes and brains which miraculously generate subjective awareness of themselves and mysteriously ‘contain’ a localised subject which projects mental images of space and of objects into the very space in which it is supposedly located as an object in the first place. The unrecognized and unresolved paradoxes of this model make it rather unconvincing, to say the least, and Heidegger was not averse to pointing out the double standards involved in applying it. The term ‘ontology’ derives from the Greek ontos – ‘being’. The ontological foundation of biological medicine is the reduction of the human being to the human body and its biological organs. The basis of human existence and experience, as experienced in the everyday process of living, is sought in a purely biological understanding of ‘life’. In the topsy-turvy world of medical science it is not human beings that think and feel but their brains which ‘produce’ thoughts and feelings, ‘store’ memories etc. and in the process constitute the human being as a being. I term this reductionistic position ‘bio-ontology’. Heidegger questioned its basic metaphysical assumptions, arguing instead that the human being cannot be reduced to the human body. On the contrary, the human body and its organic functions can only be understood as an embodiment of the intrinsic potentials and capacities of the human being. Heidegger often remarked that our understanding of truth depends most essentially on correctly appreciating the obvious. The obvious, in this context, is that it is not ears that listen and hear, eyes that look and see, or brains that think but beings. Heidegger goes even further than this however, suggesting that the very ‘organismic’ capacities embodied in our organs and their functions are not essentially biological – rooted in our body’s genes – but rather ontological, having to do with intrinsic potentials of the human being? When we ‘see’ that somebody is unhappy or tense, or ‘hear’ frustration in their tone of voice this is not a deduction made from some sort of quasi-clinical observation. Similarly, when our impression of somebody is that they look or sound ‘unwell’ we are not, like the physician, medically interpreting certain overt diagnostic ‘signs’. What Heidegger refers to as “genuine” seeing or hearing is not, in the first place, a seeing or hearing which has as its object something or ‘some-body’ in the literal sense, but rather ‘some-one’ – a being and not a body in space and time. What I have termed the ‘phenomenal’ body as opposed to the physical body is precisely that body with which we directly see and hear, sense and feel, touch and move other beings – doing so quite independently of physical sight and hearing, touch and movement. When we speak of being close to someone, being touched by their words or moved by their suffering it is not physical intimacy, touch or movement we are referring to. Nor however, is our reference to closeness, touch and movement merely a metaphorical way of describing in physical terms something psychical. Rather the converse – moving closer to someone or touching them in an intimate bodily way is itself a form of metaphorical action – a way of ‘bearing across’ (metaphorein) our closeness to them as beings. The term ‘onto-biology’ refers to an ontological understanding of biological functions of the sort that Heidegger indicated. This is not the same thing as a psychological or psychoanalytic understanding of such functions. When someone speaks of feeling ‘stifled’ or of having no ‘room to breathe’ this is not usually meant in a literal sense, but nor are they merely describing an emotional or ‘psychological’ state using a respiratory metaphor. But if someone’s breathes more freely as a result of feeling their ‘spirits’ lift, their bodily breathing does indeed serve as a living, biological metaphor of their state of being. Respiration is not merely a biological function but the embodiment of a primordial organismic capacity of our being – the capacity to engage in a rhythmic exchange with the essential ‘atmosphere’ of our life-world, ‘breathing in’ our awareness of it, drawing inspiration and meaning from it, and in turn allowing our awareness to flow out into it and find meaning within it. A person can jog or exercise, or practice breathing exercises for hours, days or years without it significantly affecting their fundamental respiration – without it bringing new sources of spiritual meaning and inspiration into their lives. But a person can be neither spiritually inspired nor dispirited without it being instantaneously embodied in their physical breathing. At what point does the air we inhale become a part of us? At what point does our exhaled air cease, not only to be a part of our bodies but a part of us? Whether we draw into our awareness a ‘breathtaking’ landscape or an ‘idea’, we feel moved to inhale and then exhale deeply. Why? Because breathing is the embodiment of our primordial capacity to fully take into ourselves our awareness of something other than self, and in turn allow it to freely flow out into the atmosphere or field of awareness linking us with it. The words ‘respiration’, ‘inspiration’, ‘aspiration’ etc. come from the Latin spirare – to breathe – just as the Greek word psyche originally meant the ‘breath’ that vitalised an otherwise lifeless corpse (soma). To speak in a modern way of the ‘psychosomatic’ dimension of breathing disorders such as asthma, to either claim or dispute their ‘psychogenic’ causation therefore misses the point. It ignores the question of what breathing as such fundamentally is – not as an organic function of our body but as an organismic capacity of our being. Changes in the pattern and flow of our bodily breathing embody differently patterned flows of awareness. As such they may also provide the medium by which our relationship as beings to particular phenomena first comes to presence in our field of awareness. Field-phenomenological medicine identifies the human organism neither with the physical body or soma nor with the psyche understood in the traditional sense – as a localized subjectivity bounded and contained by the physical body. Instead it understands the organism as the dynamic boundary between the two fields of awareness that constitute our larger body of awareness or felt body – an ‘inner’ field awareness of our own bodies and ‘outer’ field awareness embracing other bodies in our sensory environment. The organism as such is the dynamic boundary state that both distinguishes and unites these two fields. As such it is also the dynamic interface between what we experience as ‘self’ and that which we experience as other-than-self, uniting our self-awareness with our awareness of others and otherness. Self-awareness is also an awareness of ourselves in relation to something or someone other-than-self. Indeed it is co-constituted by that very relation. Our self-experience is always inseparable from an experience of others and otherness. The “I” that I experience in the context of one relationship or activity is not identical to that which I experience in another. The “I” experienced in a professional role is not the same “I” experienced in a domestic context or engaged in a pleasurable recreation. When we feel ill, we do not ‘feel ourselves’, our bodies or minds feel foreign or alien to us in some way. This ‘not feeling ourselves’ however, is always the expression of change in our felt relation to something or someone other-than-self. The military metaphor extends beyond immunology and represents the all-embracing metaphor of modern medicine. The metaphor is rigorously defended under the banner of medical ‘science’ even though it is the foundational metaphor of this science, the basic metaphorical framework determining the medical interpretation of empirical data and the scientific representation of biological ‘fact’. Behind it is the questionable concept of an immune self, constituted by a genetically-programmed biological identity. This concept can be understood as a projection of the traditional metaphysical notion of the subject – the Cartesian ego – on the human body. The root meaning of ‘self’ is ‘sameness’. Biologically, the body is in fact never the same from one moment to the next. It constantly recreates itself and does so precisely through the incorporation and assimilation of previously ‘foreign’, ‘non-self’ substances – air, water, nutrients etc. Our felt, bodily self is also not a fixed identity – it too recreates itself constantly by assimilating and incorporating our experience of others and otherness. The human organism is our felt, bodily sense of self – a sense of self that is ever-changing, forever and continuously altered by our felt relation to others and otherness. The ego on the other hand is a mental identity ‘immunised’ from its experience. It is the self represented by the linguistic subject – the word “I”. When we say “I feel cold” or “I feel hot” we imply that the “I” is the same “I” in both cases, a subject immune from its predicates, a subject whose identity is never altered by its own verbs and objects, actions and experiences. The ego uses language to identify a feeling as one of “coldness” or “heat”, “joy” or “sadness”, and to identify ‘reasons’ why it should be feeling one way or the other. The organism – our felt, bodily sense of self – is fully identified with what it feels. It is the feeling of coldness or heat, joy or sadness – even if, as is often the case, it has unlike the ego no words to label, represent and objectify the feeling in question. Medical immunology and the immune self it postulates is an ideologically-shaped representation of and response to the dis-ease experienced by the ego when its own identity is disturbed by an organismic state – an alteration in the individual’s felt, bodily sense of self. Organismic states are in turn the expression of an individual’s felt relation to something or someone in their outer field of awareness. But just as ‘nature abhors a vacuum’, so the organism abhors an absence. Life frustrations, deprivations, disappointments, losses and bereavements all represent an experience of absence which the organism can only register to the ego as the positive presence of a particular feeling, albeit a so-called ‘negative’ feeling such as grief, unhappiness or pain. Actually, such ‘negative’ feelings are feelings negated by the ego, which, unlike the organism seeks to immunise itself from feeling as such. Whereas the organismic self is the felt self – identified with what it feels – the ego is the ‘immune self’ – the part of us that does not allow what we feel to alter our identity and transform our sense of who we are. The ego has ‘feelings’ (plural noun). The human organism is like the hand with which we feel (verb). If we feel someone’s face with our hand, what it feels like to our touch, the ‘feeling’ (noun) that we have of it, depends on the way we touch it, the way we ‘feel’ it (verb). For the human being ‘feeling’ is an activity and not merely a state. And it is we who feel, not our hands. We feel out other beings, sensing their presence or absence, nearness or distance, approach or withdrawal, openness or closedness, weight or lightness of being, and this feeling out constitutes our felt body as a ‘field’ or ‘feel-d’ of awareness. In feeling we are invariably touched and transformed by what we touch and feel. The organism is our felt, bodily sense of self, a bodily self that, unlike the ‘immune self’ is never the ‘same’. An elderly woman whose husband Harry has recently died from a heart attack finds herself suffering chest pains at night and goes to see her GP. The physician’s only interest in her symptoms is as signs of a possible organic disorder which might be ‘causing’ them. He sends her to a consultant to test for possible heart conditions. Proving inconclusive, the consultant ends up diagnosing mild angina, and prescribes tablets. These in turn prove to have little effect on the patient’s symptoms. On visiting her GP a second time however, the latter recalls her recent bereavement and, as a result, begins to read the somatic ‘text’ of her symptoms in a different way, understanding them in the life context of her loss and the pain it be may be causing her. Rather than seeking a purely medical diagnosis of the patient’s symptoms he himself listens to his patient in a genuinely patient way. Suddenly an insight flashes through his mind. He ‘sees’ that she may be suffering from a doubly broken heart “the one that killed Harry, and the one you’re left alive with, that hurts when you’re most alone in the middle of the night…the broken heart that gave up and the one has to carry on painfully.” This heartfelt hearing of the patient and the heart-to-heart talk that ensue are the first time anyone has ever acknowledged the pain of her grief. It gives her the strength of heart to acknowledge and bear it in a new way. Her symptoms disappear. This case history, which is cited by Dr David Zigmond in an article on different modes of patient-physician communication, goes to the heart of the contrast between medical diagnosis and fundamental diagnosis. The term ‘diagnosis’ means ‘through knowing’ (dia-gnosis). Gnosis derives from the Greek gignostikein – to ‘know’ in the sense of being familiar or intimate with. Gnosis is not knowledge of or about something, but the sort of knowing we refer to when we speak of knowing someone well or intimately. The relation that distinguishes this type of knowing is one in which, as Heidegger put it “we ourselves are related and in which the relation vibrates through our basic comportment.” Medical knowledge, like other forms of scientific knowledge, including psychology, is knowledge of or about. It represents the outer relationships between things or between people as if these were quite independent of our inner relation to them – our inner bearing towards them. The change in the GP’s relationship to the patient in the second consultation was crucial. Rather than simply bringing to bear his medical-biological knowledge of the heart, he had the patience to bear with his patient – to acknowledge her heartbreak and bear it with her in a heartfelt way. As a result she herself, no longer felt herself so painfully alone in bearing it, and was able as a result, to find a new bearing towards the loss that occasioned it. The paradox is, that despite the inconclusiveness of the medical tests, without adopting this bearing the patient might well have gone on to bear and body the pain of her lonely grief through increasingly acute symptoms, using them to feel and communicate it indirectly through a type of ‘organ speech’. The GP’s new bearing was preventative in the deepest sense, forestalling a process whereby this patient might well have ended up as a genuine ‘heart case’ requiring medical intervention, or a ‘heart sink’ case in which no conclusive, measurable signs could be found of any organic disorder. 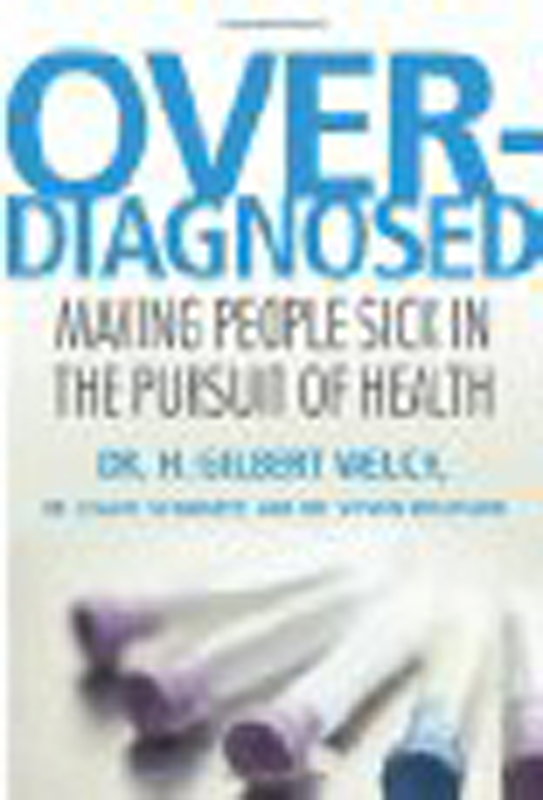 When doctors speak of the ‘heart-sink’ patient perhaps all that is referred to is the type of patient that all too clearly needs this type of fundamental or ‘deep’ diagnosis, rather than fruitless attempts to diagnose their symptoms in the ordinary way ie, to hear, see and respond to their inner dis-ease rather than seeking its causes in a medically labeled disease or disorder.